In the week of June 25th – 29th the “project days” took place for the 10th time in Kaufering (Bavaria) in the district of Landsberg, forestry students from the University of Straubing and Wheinstephan were on an excursion and have been measuring changes in Kaufering’s forests for 10 years, especially in relation to soil. 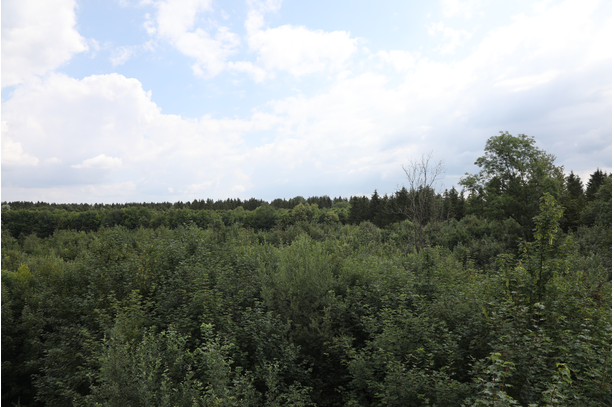 The municipality of Kaufering (DE) offered two practice days to discuss the connection of living soils, humus production and locally adapted tree and forest planting. 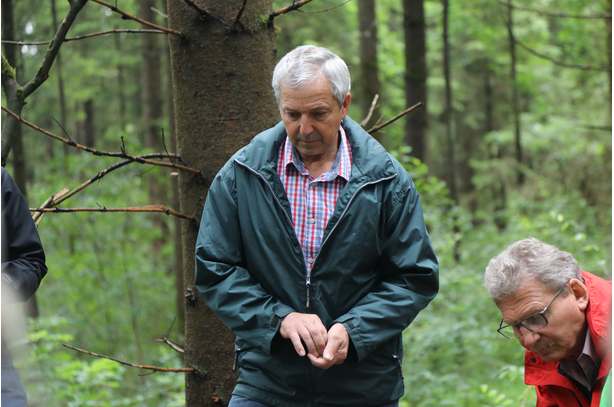 In the week of June 25th – 29th the “project days” took place for the 10th time in Kaufering (Bavaria) in the district of Landsberg, forestry students from the University of Straubing and Wheinstephan were on an excursion and have been measuring changes in Kaufering’s forests for 10 years, especially in relation to soil. Currently this year we examined how different tree species behave on alluvial soils (spruce and maple trees). The municipality of Kaufering is a project partner in the Alpine Space project Links4Soils and presents its work annually at the practical days, guided by Ludwig Pertl. The University of Innsbruck was strongly represented this year with Clemens Geitner, Lorenz Hänchen and Sophia Neuner. Lorenz Hänchen conducts an investigation into the local climate performance of different tree species within Links4Soils in the alluvial forest. For this purpose, temperature sensors were installed in the trees. The sensors were mounted on 2m, 5m, 10m and in the treetop. It is expected that there are temperature differences from spruce to maple. These sensors now measure over the summer and are then taken down and evaluated towards the end. The roots of the maple trees reach further down (up to 130cm) in the alluvial soils, then the spruce roots (40cm) due to that fact the maple trees have less stress in dry periods. Clemens Geitner presented in detail the importance of ecosystem services to the numerous participating stakeholders (from agriculture and forestry,) as well as the students. The importance of the water storage capacity of soils and the management practises adapted to site and soil characteristics, were also considered. 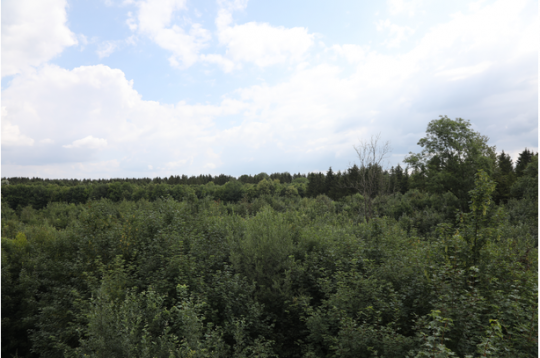 The example of the alluvial forest showed that the spruce as a shallow root tree is disadvantaged in dry phases compared to the maple. This was discussed intensively with Prof. Geitner on the soil profiles.